Cook Islands and New Zealand - a prefect combination. Stay at the Pacific resort nestled discreetly on the white sands of Rarotonga and the Pacific resort Aitutaki with panoramic view of Aitutaki’s world-famous lagoon . Cook Islands a place where simple, lazy days meet luxurious evenings. 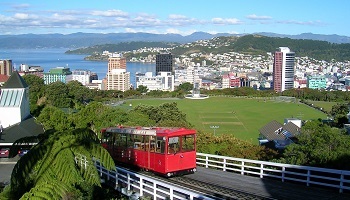 Onto New Zealand and experience the cities of Auckland, Wellington And Queenstown and all they have to offer. Receive a traditional Lei greeting on arrival before being transferred for your guaranteed early check in to the Pacific Resort Rarotonga, in a Garden Suite. ACCOMMODATION - Pacific Resort, Rarotonga - Nestled discreetly on the white sands of Rarotonga’s most spectacular lagoon, this 64 room boutique resort offers a perfect blend of modern comforts and traditional island hospitality. A place where simple, lazy days meet luxurious evenings. Where slow-paced island life meets fast-paced nightlife. And where the friendly, gracious staff meet your every request. This is a place where you can bury your toes in the sand, or bury yourself in activities. Where you can lie in the sun, or lie in bed all morning. Where you can dance into the night on the beach, or watch the locals dance in the villages. As you’ll discover, Pacific Resort Rarotonga is situated in one of the world’s most spellbinding spots. Stretching one kilometer along the south-eastern coast of Rarotonga, Muri beach is laden with glorious white sand, fringed by palm trees and lapped by the gentle waters of a shallow, safe lagoon. And the resort itself is equally scenic. Set in six acres of lush tropical gardens, surrounded by breath-taking views and majestic mountains, Pacific Resort Rarotonga features elegantly appointed accommodation, authentic Polynesian architecture and a stunning tropical setting. This morning you will be transferred to the airport for your morning flight to Aitutaki. Once arrived you will be transferred to your resort for your first night at the Pacific Resort Aitutaki in a Beachfront Bunglaow. Day 8 - Pacific Resort Aitutaki. 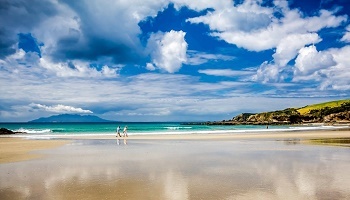 Enjoy a final day of leisure at the Beachfront Bungalow before a late night check-out and transfer to the airport for you departing flight back to the New Zealand. 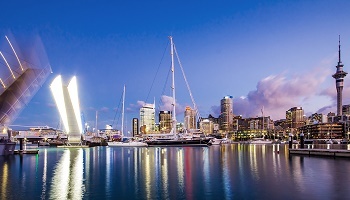 Auckland, don't think of it as a city, even though it's New Zealand's largest. Think of it as half urban, half marine - a cosmopolitan experience wrapped up in a fascinating water world and surrounded by over 50 islands. the last two nights of your trip will be at the Hotel De Brett. ACCOMMODATION - Hotel De Brett, Auckland - The property is located centrally, in Auckland's fashion precinct of High St. 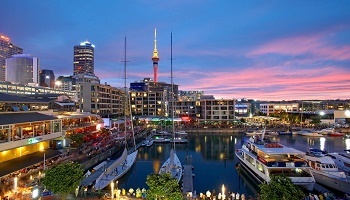 It is a short walk from the restaurants and bars of Viaduct Harbour, the Sky Tower, and the Ferry Building. It is surrounded by art galleries, theatres and the Auckland Art Gallery and is within easy reach of the Auckland Museum and the shopping and restaurants of Parnell and Ponsonby. This iconic building has been stylishly reinterpreted into a 25-room boutique hotel. The famous House Bar has been meticulously restored as Auckland’s premier meeting place. A private drawing room has been created for exclusive use by hotel guests - while a glass roofed atrium and courtyard form the central focal point for guests, diners and locals to mingle. NZ's largest and busiest city is set on 48 dormant volcanic cones and lies between two harbours: the sparkling Waitemata and the brooding Manukau. The tour begins with a drive up Queen Street, past Auckland University and through Auckland Domain to Ponsonby. Head over the harbour bridge to the North Shore and enjoy a stroll on Narrow Neck Beach in historic Devonport. Re-board the coach for a trip up to the summit of Mt Victoria for stunning panoramic views over Auckland City, then travel back over the harbour bridge to Westhaven Marina. Finish with a visit to Auckland Fish Market before continuing on to the Viaduct Harbour. This morning you will be transefrred to Auckland airport and your flight to Wellington. On arrival make you will be transferred to The Museum Hotel, which is superbly situated opposite Te Papa, Museum of New Zealand, and Wellington's waterfront. Accommodation - The Museum Hotel, Wellington - The luxury rooms are just a few minutes walk from the cafés/restaurants, theatres, galleries and shopping of the vibrant Courtenay Quarter. The popular beach at Oriental Bay is just around the corner. The hotel incorporates 165 classically elegant rooms, spacious studios and suites, award winning restaurant and bars, beautifully appointed and versatile function spaces and a superb collection of contemporary New Zealand art displayed in lobby and foyer areas. 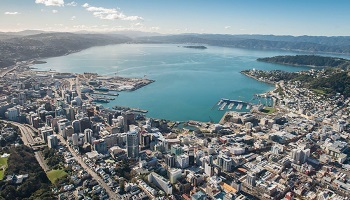 Stay, meet and play in luxury surroundings that offer a unique experience in Wellington, the vibrant cultural heart of New Zealand. Explore Wellington at your leisure or consider adding one of our half day tour options, see our e-brochure or speak with an Aspire expert. 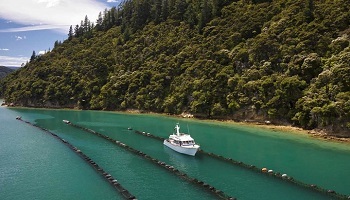 This morning you will be transferred to Wellington ferry terminal for your Inter-islander ferry linking New Zealand's North and South Islands. Upon arrival Picton you will be transferred to Blenheim. 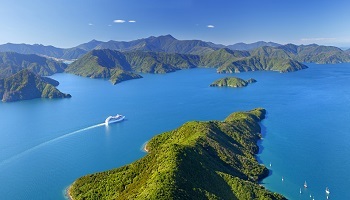 Marlborough is a beautiful region enjoying a year-round sunny climate. 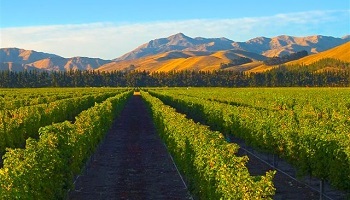 Marlborough is New Zealand's largest grape growing and wine making region. 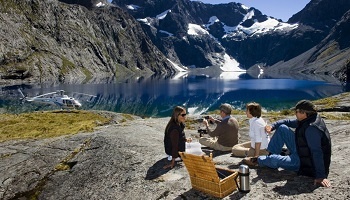 Tour the wineries in Marlborough, sampling New Zealand's internationally-acclaimed Marlborough Sauvignon Blanc. Hire a bike and cycle around the wineries, gathering a few bottles as you go. Or catch a helicopter for a wine tour with a difference. ACCOMMODATION - The Vitners Retreat - Perfectly placed on Rapaura's golden mile of vineyards world-class wineries within walking distance. Soak up the ambience with superb cuisine, an extensive Marlborough wine list, and luxury contemporary accommodation. Delightful hosts and staff ensuring your stay is a memorable one. The Vintners Room - New Zealand cuisine based around distinctively Marlborough ingreadients, open daily from 6.00pm for dinner. Built among the vines and cherry trees, adjacent to our restaurant and conference centre, this contemporary apartment complex offers one bedroom suites for up to three people. Explore Blenheim at your leisure or consider adding one of our boutique tour options, see our e-brochure or speak with an Aspire expert. Transfer to Nelson Airport for flight to Queensland. On arrival you will be transferred to the Rees hotel. 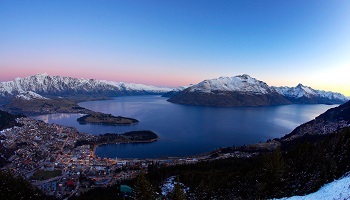 ACCOMMODATION - Showcasing breath taking panoramic lake and alpine views, The Rees Hotel Queenstown is a sophisticated Five Star hotel situated right on the shores of Lake Wakatipu, with its own beach and private wharf. 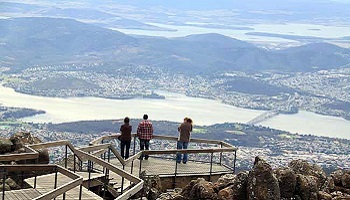 The many unique features at The Rees Hotel include a fine dining restaurant with an award winning chef who creates exquisite menus showcasing the spectacular produce available in Central Otago, an extensive award winning wine cellar, library and courtesy shuttle to/from Queenstown town center. This afternoon you will be transferred to Queenstown airport where you will connect to Auckland and continue onto LA. From pricing is valid for departures until 31 March 2019 for purchase by 31 December 2018. Prices are per person based on double occupancy departures from Los Angeles. Add-on fares are available from other cities. Certain black out dates apply on the accommodation and tour value add offers - check with your Aspire consultant. Seats are limited and may not be available on every flight. Hotels are subject to availability. All prices reflect a discount for purchases made by cash/wire transfer/check, please see terms and conditions for credit card payments. There are no discounts for payment made by credit cards. Cancellation penalties and other restrictions apply.